We all have that one friend who is impossible to shop for. She is always on top of the hottest trends, wears the chicest outfits, and has a knack for finding all the best brunch spots. She has fabulous plans every weekend, but somehow still manages to get to yoga, and has that really cool bag years before anyone else. It should go without saying that when it comes to the holidays—or any occasion, really—finding the perfect gift for her comes with its fair share of challenges. And while she’s definitely hard to gift, she does deserve the best. This year, we’re here to help you get ahead of her, and the trends, with an inspired collection of items that will have her in awe (for once). Read on and browse our edit of the unique, thoughtful finds she is sure to cherish—and, more importantly, never return. Game night is about to get a major refresh, courtesy of this vibrantly colorful, lucite board. We can’t think of the last time we had to use a magnifying glass but with this clever version, we’ll come up with any reason to. File this one under the most artistically dynamic “jug” we ever did see. 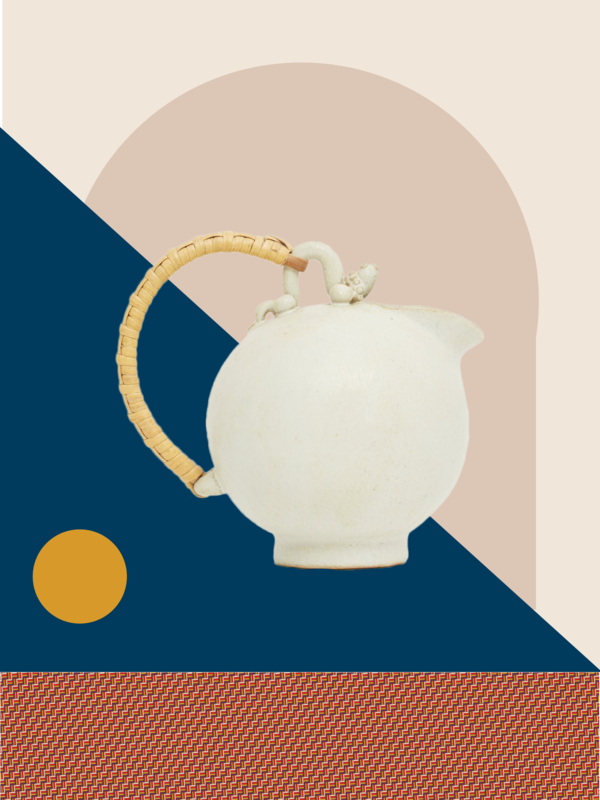 Danish ceramists Arne Bang’s alluringly refined work brings forth a historically-rich detail to a household staple we’re all too keen on embracing. There is something undeniably chic about a curated desktop and a luxurious commodity at that. Crafted in Japan, these solid-brass accessories will make those long nights at the office seem slightly less daunting. For the foodie with an insatiable thirst for the subject, give the gift of a decorative staple that keeps on giving. Fine art photography and gastronomical photojournalism come hand-in-hand, resulting in a unique compilation that pays homage to the quintessence of life. Consider this the statement piece your your giftee’s life was missing. Decoratively versatile and aesthetically ambiguous, this handmade bowl is essentially a one-of-a-kind and can play to a wide variety of design styles, all the while standing in as a surefire focal point. An inconspicuous vessel for housing an equally inconspicuous array of random odds and ends is a must. This beautifully two-toned piece is designed with incenses in mind but can double as a catch-all for so much more. Simplicity is a mindset we can always get behind—especially when it manifests itself by way of a decorative staple with a design-forward detail. Hay’s unwavering commitment to reinventing everyday essentials with an unmistakably Scandi-chic quality is one of many reasons we can’t get enough of this piece. You may be familiar with Yayoi Kusama’s Pumpkin series but this clever rendition of the artist’s iconic scheme promises a fresh twist on the original. Bursting with character and saturated in detail, this collector’s skateboard is one the art-enthusiast will surely love. A functional staple is reimagined with a saturated twist, chockful of pattern and a palette that errs on the undeniably chic. Pogue’s one-of-kind creations are crafted of imported kilims, vintage fabrics, and overdyed linens—elements that give the stunning pillows an inspired quality that borders on the incomparable. The avid coffee drinker deserves a brewing set as sleek and sophisticated as their taste, and this multi-faceted number definitely fits the bill. The 5-part set features walnut detailing with hints of brass that lend the piece its rich yet streamlined finish. For those who prefer their functional essentials double as works of art, look no further than this ingenious take on a vase. With its ability to stand alone as a decorative sculpture, it’s a two-in-one staple with a show-stopping quality we can’t resist. For the lover of all things refined, this all-encompassing gift set is the way to go. Conveniently packed with an elevated slew of everyday essentials and encased in a zip-top amenity pack, the hand and body care bundle is both a necessity and a covetable must.